This past year has been a roller-coaster, to say the least. I have had some extreme highs and lows and everything in between. In the past 2 weeks, however, I have finally started to feel myself. I can’t remember a time when I wasn’t running on stress. For some reason, I’m still having trouble falling asleep, but instead of using this time to agonize over what I need to do or should have done I’ve been relaxing. Living in the moment is a very new thing for me. It has allowed me to explore my true passions (ie. this blog and my decorating aspirations) and to really appreciate all the people and things around me. I will be starting my new position on September 27th and my last day at my current job is tomorrow, the 10th. With the two weeks in between, I hope to really ground myself for the first time (at least in my memory). What do you do to ground yourself? How do you continue to live in the moment? 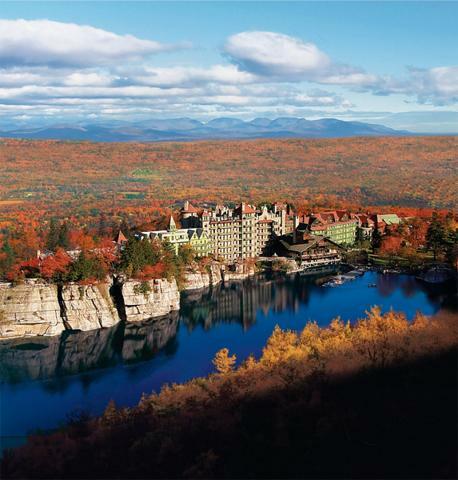 This entry was posted in Dynamic Design, Images, Inspiration and tagged favorite place, Inspiration, living in the moment, mohonk mountain house. Bookmark the permalink.